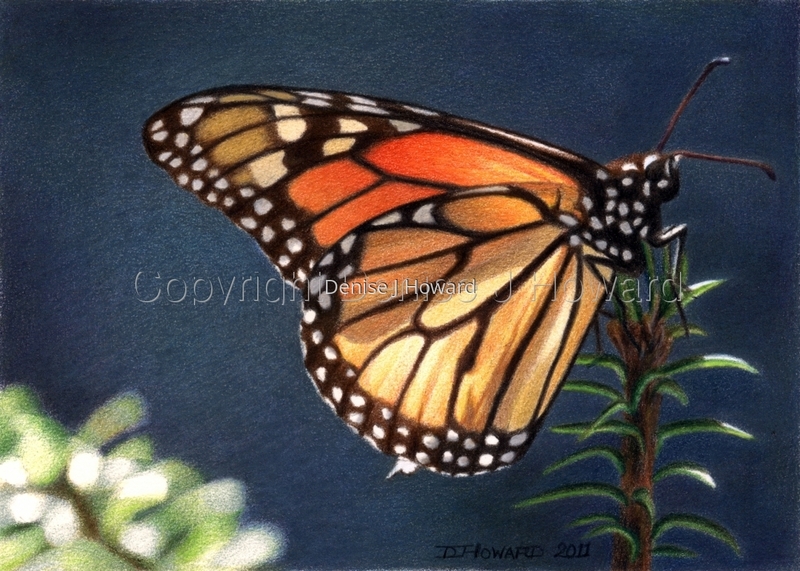 The sixth in my series of overwintering monarch butterflies near Angangueo, Mexico. I love how the sunlight plays on and through their wings. Colored pencil on Stonehenge paper.